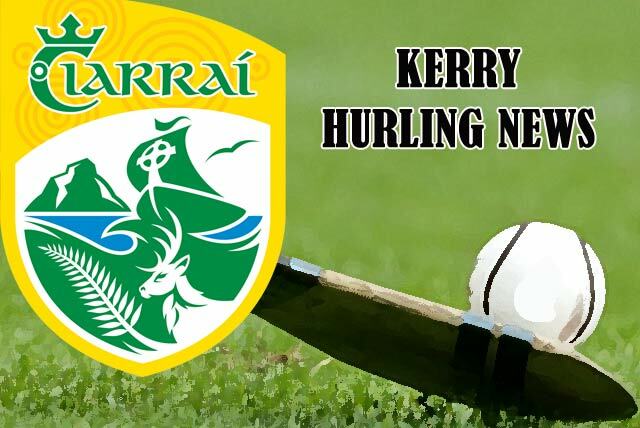 The 2017 Garvey’s SuperValu Kerry Senior Hurling Championship Final will be between Ballyduff and Lixnaw. In last Sunday’s Semi-Finals, Ballyduff had a 1-17 to 0-16 win over holders, Kilmoyley, while Lixnaw edged out St. Brendan’s, 1-13 to 2-8. The final is scheduled for Sunday week, 8 October. The sides last met in a final in 2012 when Ballyduff won by 1-15 to 1-9. Ballyduff will be aiming to go ahead in the Kerry hurling championship roll of honour – they currently share that honour with Kilmoyley on 24 titles each. Lixnaw will be going for their 9th title. The final is fixed for Austin Stack Park on Sunday October 8th at 3pm and it will be preceded by the Keanes Supervalu Killorglin Minor Hurling Championship final at 1pm. In the remaining quarter finals of the Co. Minor hurling championship last week, Causeway had a 2 - 14 to 1 - 16 win over South Kerry; Abbeydorney/ Tralee Parnell’s overcame Kilmoyley by 5-17 to 0-5 and Crotta, going for 2 in a row, defeated Lixnaw by 3-19 to 2-8. St. Brendan’s play Crotta at 2.00p.m. and Abbeydorney / Tralee Parnell’s meet Causeway at 3.45p.m. The Credit Union Senior Hurling League Division 1 Final between Ballyduff and Kilmoyley has been provisionally fixed for Saturday October 28th. The Semi-Final of the Credit Union Co. Senior Hurling League, Division 2, between Causeway and Dr. Crokes is fixed for this Sunday, 1 October at Causeway, 1.00p.m. The winners will meet St. Brendan’s in the final which is provisionally fixed for October 28th or 29th.